Nintendo embedded Golf for the NES into every Nintendo Switch as a way of paying tribute to the late Satoru Iwata. The embedded game was brought to light earlier this week when one hacker came upon it by accident. At the time, most onlookers believed this copy of Golf and an NES emulator to be some form of sign that emulation – or at least Virtual Console – is coming to the Switch. After all, why would Nintendo put a copy of an old game and the emulator to run it in every Switch that way? It turns out, however, the reason has nothing to do with commercialism. When the discovery was first made, the hacker in question said that there’s an unofficial way to launch it, but couldn’t actually pin down how regular owners could do it. He was running it through unofficial means, of course. After many discussions, theories and input from the hacking community (excellently chronicled at Ars Technica), hacker yellows8 revealed that there is in fact an official way to trigger the emulator/game. It all has to happen on July 11 – the day designer and former Nintendo president Satoru Iwata passed away. The only problem is, if your console has been connected to the internet even once, you won’t be able to force change the internal date. For new systems, users are able to manually set the date to July 11 and play Golf. Both Joy-Cons must be detached from the system. Hold the Joy-Cons pointing forwards/downwards then move Joy-Cons to a vertical position, and hold it there for a bit to perform Iwata’s “Direct” motion. The same motion checks for both Joy-Cons must pass, at the same time (the Joy-Con grip can be used for this). This all has to be done in the Home menu of the Switch. 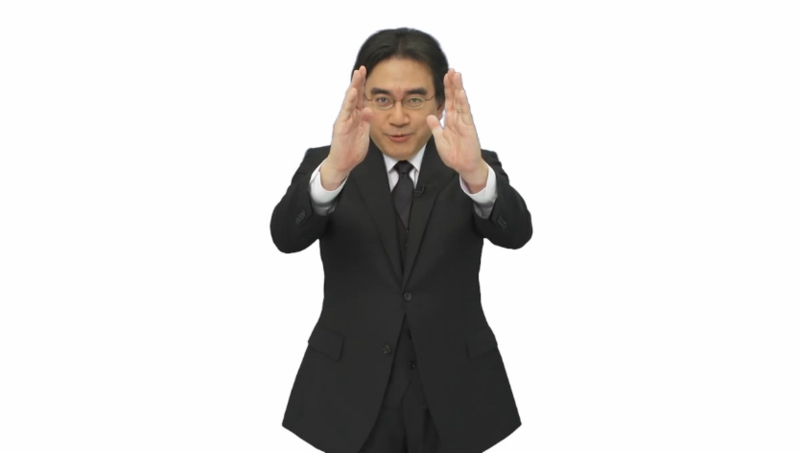 When launched, you’ll hear a voice message from Iwata taken from an old Nintendo Direct. Following this stunning discovery, Justin Epperson from localisation studio 8-4 tweeted that the Japanese audience is calling this an “Omamori” – a charm – from Iwata, since he coded Golf himself. “In Japanese culture Omamori are bought at shrines for various reasons, if you keep one close to you it will protect you or give luck. So the idea is [that] Nintendo embedded Iwata’s game to watch over every unit,” he explained. What a truly touching tribute.